At Benetas, we listen to the experiences of older Victorians, share their voices and strive to improve the wellbeing of all older Australians through advocacy and research. We aim to produce research that can be used to improve aged care services and models of care. Findings are shared with the industry and government at all levels to help inform policy directions. The Benetas Research Strategy outlines our approach to research. We focus on knowledge transfer, ensuring that research outcomes are translated into improved practice in our own service, as well as contributing to improved policy and practice across the aged care sector. Research also supports our work in advocating an ageing-friendly society, and in innovation. This project looks at increasing the Calcium and Vitamin D intake of older people through an enhanced dairy menu. It is led by the University of Melbourne/Austin Health, and funded by the Dairy Australia and an international dairy farmers’ consortium. Benetas is one of a number of aged care providers participating in the study. The project aims to measure the impact of increased dairy in residential aged care. The project will conclude in 2017 will inform better practice in nutrition requirements in aged care facilities in Australia. A new residential model of care is being piloted in the purpose-built facility at St Paul’s Terrace, Frankston South. The Research and Innovation team is conducting an evaluation of the new residential model of care. This will inform the continued refinement and implementation of the model across Benetas residential sites. It was also contribute to the evidence based for best practice residential aged care, by documenting the model and its impacts. The evaluation has commenced and will continue until 2018. The Best Life project is focused on quality of life outcomes for Benetas clients. The previous phase of the project, undertaken in collaboration with the Council on Quality and Leadership, trialed a Personal Outcome measures (POMs) approach. Following the completion of that phase, the Research and Innovation team is conducting a 12 month feasibility study to identify and trial measures for capturing and reporting on quality of life outcomes. The Research and Innovation team is working in collaboration with the Quality and Compliance team to undertake a survey of Benetas Home Care and Residential Care clients. The project aims to better understand the experiences of Benetas clients, in order to identify areas of service provision that can be improved or changed. Data collection will be collected by the end of 2017, with results available from early 2018. This project, was funded by a 2015-2017 Aged Care Service Improvement and Healthy Ageing Grant from the Commonwealth Department of Health. It aimed to validate and implement a simple self-completed tool that can accurately identify frailty. This means that older people who are at risk of increased dependency and/or mortality can be identified and provided with appropriate services to keep them well. The project found that almost half of older Australians living in the community are frail (6%) or pre-frail (38%). The project also validated the FRAIL Tool as a simple and reliable screening test which can be used in a variety of settings including telephone triage and general practice. Part of the Frailty project is PARC: The Positive Ageing Resource Centre (PARC), accessible at www.parc.net.au. This offers a one-stop shop for people seeking support around frailty and health. The resource has been developed by Benetas with research support from Monash University. This was a Deakin University project which was funded by the Department of Health and Ageing. Benetas provided in-kind support. The project aimed to create tools to support residential staff when making decisions about dementia patients. A small Clinical Psychology Doctorate study trialling a counselling intervention to reduce depression and improve wellbeing post admission to residential aged care. The outcomes of this study have informed our residential facility admission process. Benetas commissioned this research 2009-2010. The outcome of this project was to evaluate the dining experience of Benetas Clients. This outcome from this research contributed to a number of internal catering initiatives to improve the dining experience for all Benetas Clients. This was a Deakin University ARC Linkage project (2009-2012) to support Aged Care Staff skills when assessing Depression. Data collection occurred at several Benetas facilities and the project was completed in 2013. This project was funded by Perpetual Trust (2014). This project trialled volunteers as mentors to assist older people at risk of social isolation to reconnect with their community through involvement in interest groups. The outcomes have informed social isolation initiatives at Benetas in the community setting. An ARC Linkage Project with Deakin University (2010-2012). This project identified significant issues related to respect for older people, creating a respect training program which has been trialled with adolescents and aged care workers. Further funding to continue the roll out is being sought. Davis J, Morgans A, Burgess S. (2016). Information management for aged care provision in Australia: development of an aged care minimum dataset and strategies to improve quality and continuity of care. Health Information Management Journal 45(1):27-35. Davis J, Morgans A, Burgess S. (2016). Information management in the Australian aged care setting: An integrative review. Health Information Management Journal 46(1): 3-14. Respect in an Ageing Society is a research paper commissioned by Benetas to examine the attitudes of society towards older people and what respect for older Australians means to them, and the wider community. Research participants included members of generation X and Y, baby boomers, volunteers from residential care facilities, older people in residential care and older people living independently. It is the first study in Australia to investigate respect for older people. The study raises issues surrounding the vast generational difference of opinion about the value of older people in society. It examines the impact of issues unique to Australia, such as the geographical dispersion of families, as well as the prevalence of ageism. Finding the way – a theology of ageing, is a research paper written by Reverend Canon Dr Stephen Ames and commissioned by Benetas, which looks into the issues surrounding older people in Australia, particularly issues around spirituality and what constitutes a ‘positive’ experience in ageing. It asks the questions, what is positive ageing for older Australians and how are older people perceived by society. It explores why there are negative attitudes and stereotypes around ageing and what our society can do to change these perceptions. A theology of ageing also examines ageing from a spiritual point of view, as a Christian or otherwise. It also explores what it means to be a ‘whole person’ when you age and challenges the idea that as you age, you lose who you are. Women at Work commissioned by Benetas and undertaken by Deakin University researchers Grazyna Zajdow and Marilyn Poole, involved women between the ages of 66 and 92 talking about their experiences in employment throughout their lives, compared to younger generations. 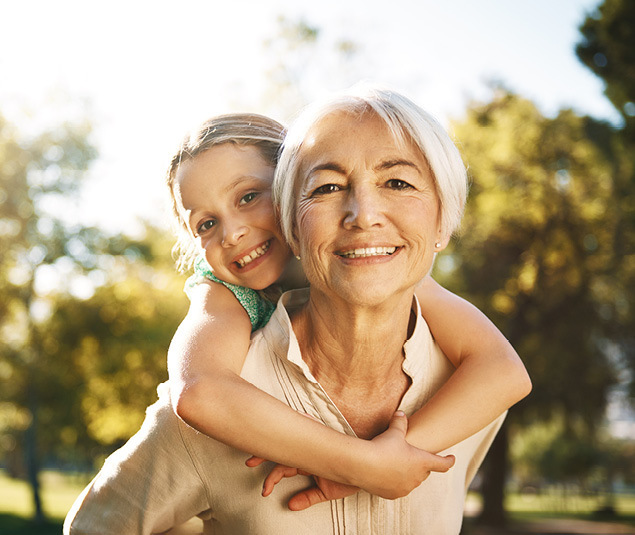 The research started with the hypothesis that older women may be envious towards younger women and the opportunities they enjoy today, compared to their experiences – however this was found to be untrue. The study found that older women recognise that younger women have tremendous career opportunities and are willing to support them to achieve their goals, but that these opportunities also bought many responsibilities. Many of the participants believed that if women of today wanted to ‘have it all’, then they would have to work to pay for it, just as their mothers and grandmothers had done. They saw that younger women had many more educational opportunities than they did, resulting in greater job opportunities. The participants discussed their own working lives and their family responsibilities. All women juggled jobs around their family responsibilities. Today it is much more acceptable for women to ask their family members for help or place their children in childcare centres or kindergartens. The participants in the study mostly got help from friends or neighbours, with very little or no help from their husbands. Forgotten Voices is a pilot study of a choir for people living with dementia in a residential aged care setting. Dementia is a condition that mostly affects older people and is therefore common in people living in residential aged care. The prevalence of behavioural and psychological symptoms of dementia (BPSD), such as depression, anxiety, agitation, wandering and screaming are higher in people with dementia living in residential care than in the broader population of people with dementia. These symptoms can have a considerable negative impact on the quality of life of those experiencing them and are a challenge to carers and to the broader aged care sector. Psychosocial approaches to the treatment of BPSD are recommended as first-line treatments, and music therapy is one such approach that has been used with this population. While there is a range of different music therapy interventions, group singing is an approach that is believed to deliver benefits for social interaction and engagement. Choral singing is a form of group singing that incorporates scheduled practice and performance. It may have benefits for self-esteem, facilitating participation and cooperation in a group task and fostering a sense of community. Few studies have examined the use of choral singing as a psychosocial intervention for people with dementia living in residential aged care using quantitative or qualitative scientific methods. This project sought to extend an earlier study that introduced a choir intervention to people with dementia living in the community, by applying a similar activity within a residential aged care setting.Choral singing is a form of group singing that incorporates scheduled practice and performance. It may have benefits for self-esteem, facilitating participation and cooperation in a group task and fostering a sense of community. We sought to evaluate the choir intervention in terms of its impact on the quality of life of participants and the effect it had on BPSD, including depression. The subjective and qualitative effects of the intervention as reported by staff of the aged care facility were also explored. As part of the project, YouthWorx created a short video on the choir. Forgotten Notes: The Gladswood Choir from Youthworx Productions.